Please ask about our large array of Handmade Diamond & Platinum Bands with all shapes & size ranges of Diamonds. 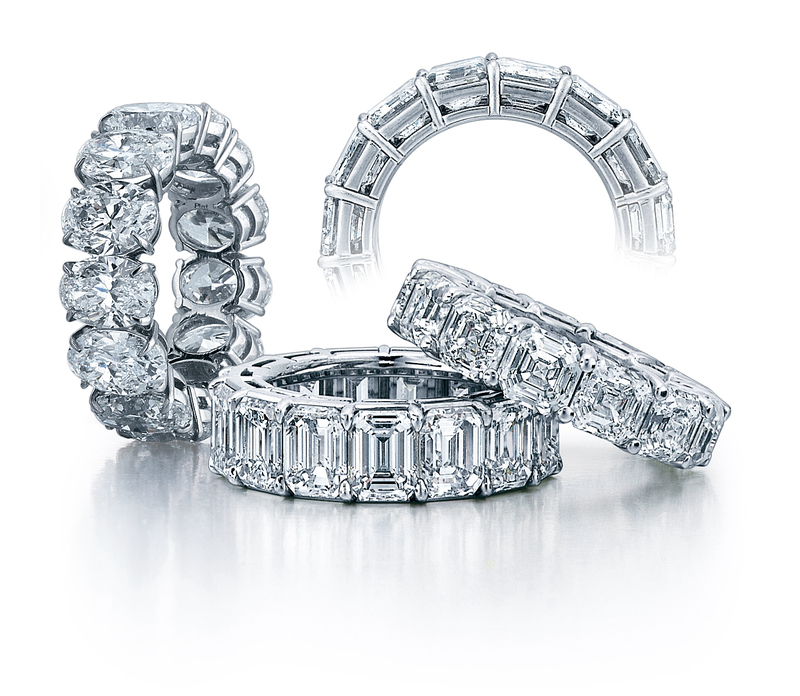 All Larger Diamond Bands have individual GIA graded stones. Colored ranging from D-G & Clarities ranging from Flawless to VS2.